I’m Carin, 55 years and I’m from the Netherlands. I’m married and I have a son (33) and daughter (31). We also have a Jack Russell terrier who sometimes listen to the name Bowy. 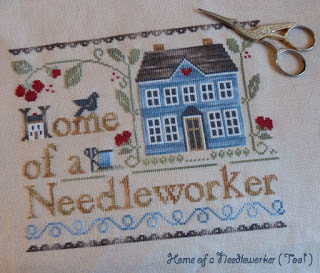 I learned it myself when I was about 19 years young, so I’m stitching for more than 35 years now. I saw a cross stitch kit in a local shop and bought it. I read the description that was in the kit and just started. I started in 2009 with my blog. The reason was that I wanted a place where I could post pictures of my work. 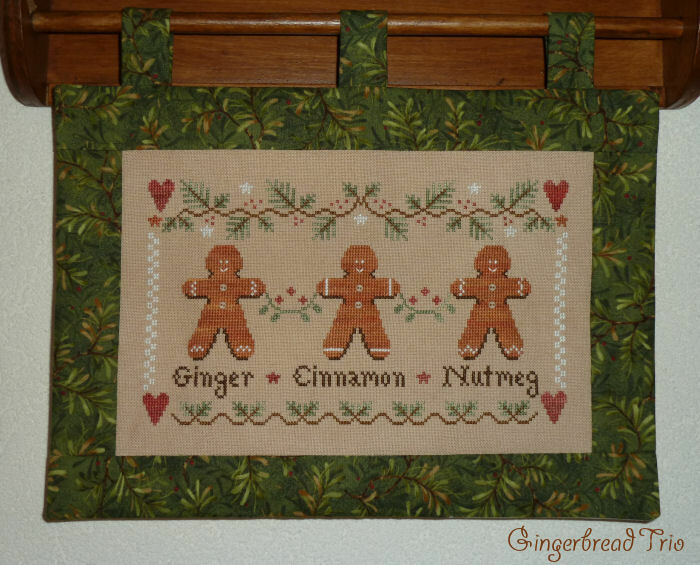 I named it Stitches by Carin, because there are many kind of stitches I do, such as cross stitches, quilt stitches, knitted stitches and crochet stitches. I work on many things at the same time. 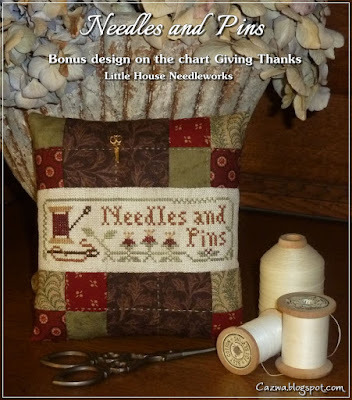 Most are small pieces, such as ornaments or pincushions and they are finished real fast. My favorite designer is Little House Needleworks. I think 90% of my work are made with patterns from this designer. I’m most proud of all my Christmas ornaments. I made the 2010, 2011 and 2012 ornament series by LHN and every year they are hanging in our Christmas tree and we all enjoy them. Each year I’m on the look out to see if LHN has new ornament patterns, because there is still room in the tree. 8. Do you have a box of finished-but-not-fully-finished pieces? Or is everything FFO'd? What's your favourite way to fully finish a project and what do you do with them? I still have a few pieces that I need to fully finish, but most things are done. My favorite way to finish things is making ornaments or pincushions. I display them in my cubby organizer, in baskets, on trays etc. 9. Which of your projects most represents "you"? I think that would be the advent animals which I just finished. They are colorful and positively funny. I love colors, love animals and I always try to see the positive things in people. 10. Anything you would like to add? The thing I want to say is, keep positive and think of the things you CAN do, instead of looking at thing you CAN’T do. This motto helped me a lot one year ago, when I had my TIA and my right arm went out completely. For a brief moment there was that thought: What if ...? But right after that thought, I was looking for solutions, just in case ;-) That same evening I was knitting in the hospital, as good or bad as I could, but I did get some stitches done and knitting helped me a lot during the months after my TIA and it helped with my motor skills. I couldn't do any cross stitching and quilting for almost three-quarters of a year, but I never have thought on giving up. I kept on practicing and since a few weeks ago I can do cross stitching and quilting again. Nice to meet you Carin. Those advent animals are so cute! The racoon especially caught my eye. Nice to meet you! Beautiful stitching and finishing. Nice to meet you. Nice to meet you Carin! 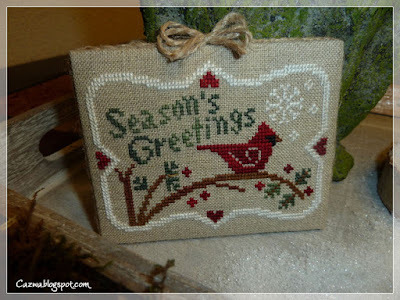 You have completed some beautiful stitching and I love how you have Brooke's Advent Animals displayed. I’m so glad to discover your blog which is new this me! You make such pretty things! 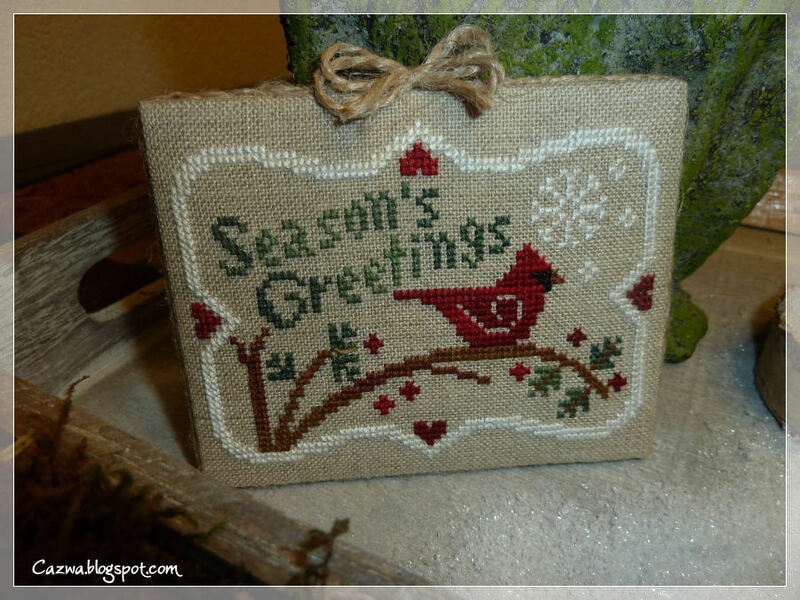 Oh, I think I met you on Jo's Advent blog hop! Nice to meet you, again! You have a ton of LHN finishes, wow. Your little advent bags are great with their tiny clothespins. 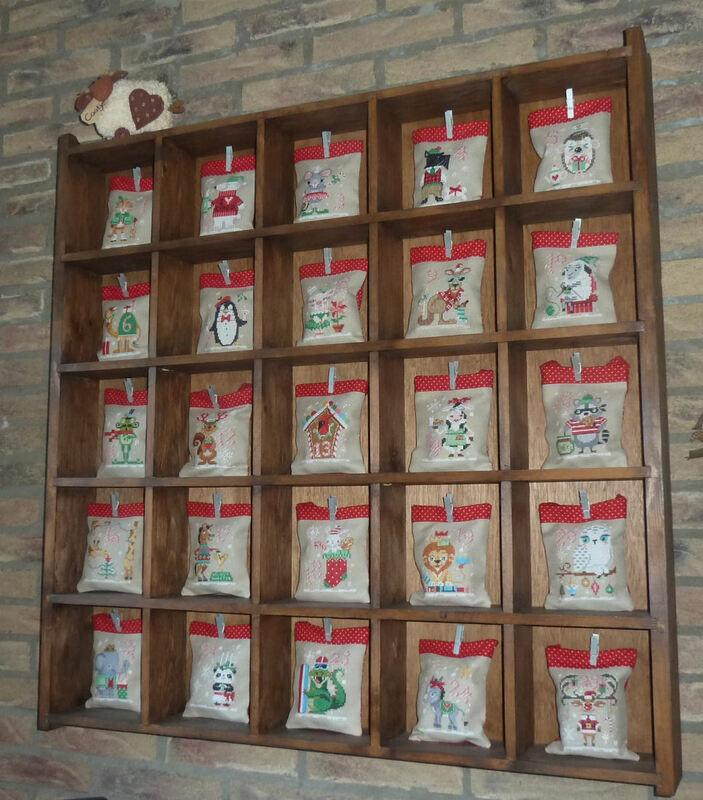 Hello Carin,it has been lovely to read about you and see your stitching.Your Advent Animals is a gorgeous collection and I am in awe of your LHN Christmas collection. Enjoyed learning more about you Carin as I love reading your blog. Your work is always beautiful. Carin, my friend, I love seeing your work again. You are an inspiration! Great answers. I love your positive outlook. I live the same way. Your stitching is beautiful. I love the way you display your advent animals. Wonderful idea!! Nice meeting one more European stitcher! Lovely pieces you have got I especially love the advent calendar.AriadnefromGreece! 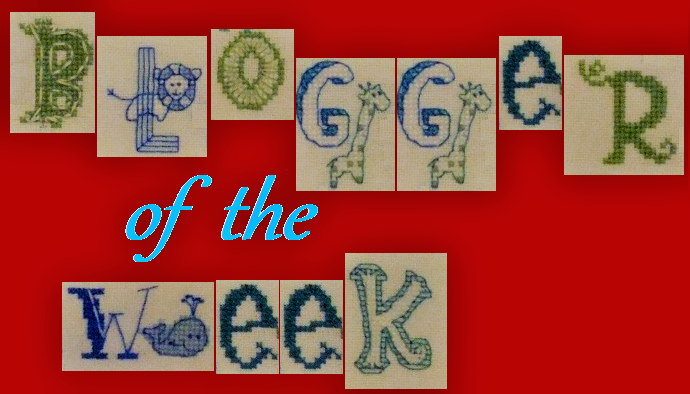 There is always something lovely to see in your blog Carin. The advent freebies look superb in your cubby box. It's wonderful to meet you and thank you for your optimistic outlook. Beautiful stitching. Hi Carin, nice to meet you! I love your ornaments, but especially the advent calender. I have those patterns as well and hope to stitch them up some day! Lovely to read about you, Carin. Your finishes are simply perfect! What a collection of Christmas ornaments, your tree must be beautiful. 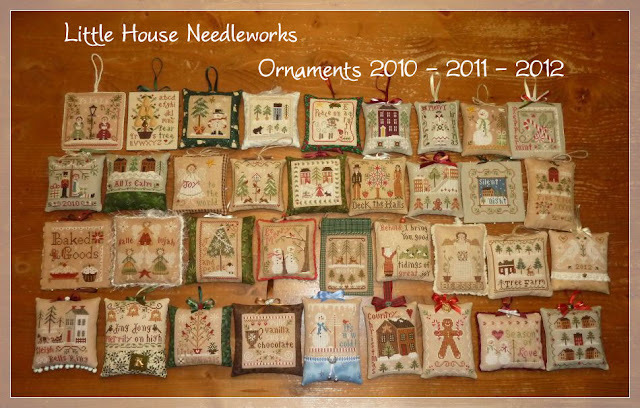 Oh my, Carin, all these ornaments by LHN juts look gorgeous. It's a wonderful picture to see them all together. Loved to read about your positive attitude towards life. Just my thoughts.